Nearly 38 percent (or 235,000) of internally displaced persons (IDPs)-the main victims of Armenian aggression against Azerbaijan - are children under 15 years. Deputy Minister of Labor and Social Protection Ilgar Rahimov made the remark during a speech on the "Social protection of women and children in Azerbaijan" at the 12th Baku International Conference of Ombudsmen held in Baku on June 18. 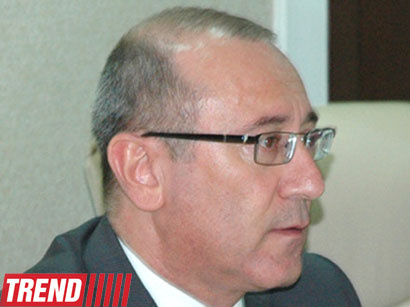 Rahimov said such a situation complicates the settlement of child labor problem. The bloody war, which flared up in the late 1980s due to Armenia's territorial claims against its South Caucasus neighbor, displaced 700,000 civilians of Nagorno-Karabakh and the regions adjoining it, as well as the regions bordering with Armenia and Nagorno-Karabakh. They are temporarily settled in more than 1,600 settlements across 62 cities and regions of Azerbaijan. Moreover, 250,000 Azerbaijanis were expelled from Armenia and became refugees due to Armenia's ethnic cleansing policy after the emergence of the Nagorno-Karabakh conflict. The Azerbaijanis who had displaced as result of the brutal war were forced to live in refugee camps, under tents and in wagons in very difficult conditions. The UN Security Council has passed four resolutions on Armenian withdrawal from the Azerbaijani territory, but they have not been enforced to this day.